One of the BEST escape rooms in Sydney by far!! Our team of four absolutely loved visiting Elude on the weekend. 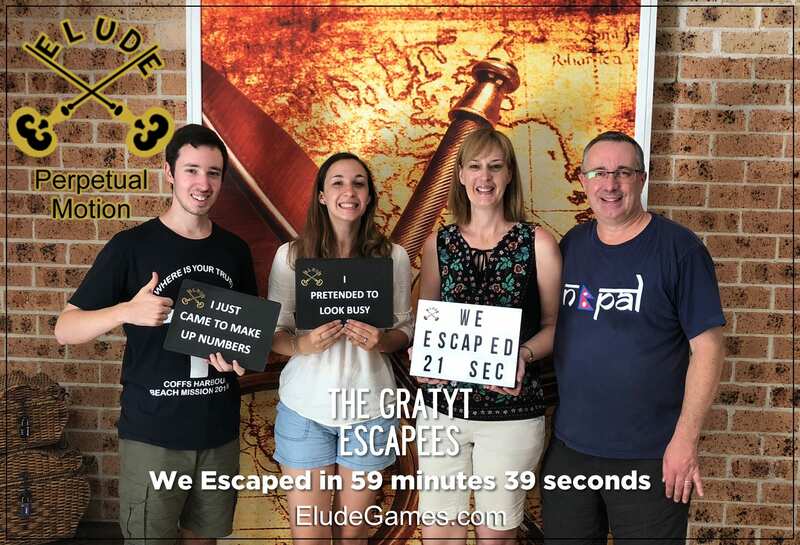 We only just escaped their Perpetual Motion room, with 21 seconds to spare! It was definitely the hardest escape room we’ve faced yet, but that’s what made it so brilliant! There were incredible puzzles, a very clever storyline and the props and atmosphere was unlike any we’ve even seen before. So so good!